Home>Blog>Alexander Shulgin: Genius, Scientist & Psychedelic Seeker of Truth! Known as the "Godfather of Psychedelics", Alexander "Sasha" Shulgin dedicated the vast majority of his life and energy to the study of hallucinogenics. Shulgin was more than just a student and scientific observer of the effects of these mind-opening drugs. He was an active user, advocate and a constant seeker of enlightenment. Born on June 17, 1925, in Berkeley, California, young Theodore was exposed to the joy of learning from a very young age. Both his parents were public school teachers. He was a fast learner and was granted a scholarship to study organic chemistry at Harvard at the mere 16 years of age. He gave up that amazing opportunity just 2 years later to join the Navy where he served on the USS Pope during World War II. Interestingly enough, a very innocent experience on the ship gave him his first ideas about the power of the mind. He was given some orange juice before minor surgery and noticed some white powder at the bottom of the glass. Young Alexander thought it was a sedative and quickly fell asleep. Later, he found out it was only undissolved sugar, and that was his Eureka! Moment about the power of the mind. After his stint in the Navy, Shulgin went on to study biochemistry at University of California, Berkeley and earned a Ph.D. in 1954. From there, he studied pharmacology and psychiatry, worked at Bio-Rad Labs, and eventually began a longer term of work with Dow Chemical. In the meantime, he began experimenting with psychedelic substances. In 1961, Theodore developed a radical new pesticide called Zectran that made Dow so much money that they gave him nearly total freedom in his research efforts in exchange for the patent. He continued to develop more conventional drugs at Dow's request while deepening his psychopharmacology research and published his findings in a variety of professional journals. He parted ways with Dow in 1966 and began studying neurology. Shulgin's next adventure was at home. He set up his own lab that was affectionately known as "the Farm". Soon, he was teaching classes at local universities, consulting privately and began a long and interesting relationship with the DEA. He held seminars for DEA agents, acted as an expert witness and authored a book on controlled substances for law enforcement purposes. The DEA presented him with several awards. Although the DEA relationship is a curious one, it did much to further Theodore Shulgin's research agenda because he was able to obtain a Schedule I license from the DEA and legally work with otherwise illegal drugs. Shulgin continued to make and test a wide variety of psychoactive drugs including MDMA until 1994 when the DEA raided his lab and pulled his license. Starting in 2008 when he was 83, Shulgin's health began to decline. He died peacefully at home surrounded by his family on June 2, 2015, just 15 days short of turning 89. A true & literal genius, Theodore was a Mensa member and regularly attended their events in his home state of California. Alexander Shulgin was fascinated by how psychedelic drugs could help people enter an altered state of consciousness. One of his early experiences with mescaline jump-started his life-long search for enlightenment. In Shulgin's own words, " I understood that our entire universe is contained in the mind and the spirit. We may choose not to find access to it, we may even deny its existence, but it is indeed there inside us, and there are chemicals that can catalyze its availability." 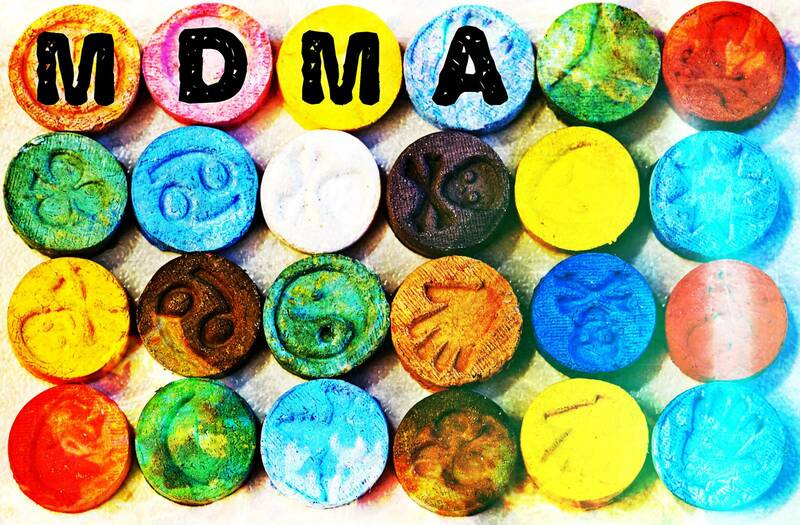 Although MDMA, the main ingredient in ecstasy, was invented in 1912 and patented in 1913, he was the first to introduce it to psychologists in the 1976 as an aid in small, controlled doses to loosen patients up and make them more comfortable during therapy sessions. His continued experimentation with this drug is, arguably, responsible for Molly's widespread availability. Shulgin is personally responsible for synthesizing and testing hundreds of variations of phenethylamines and tryptamines including. With the help of friends and fellow psychedelic drug testers, he developed the Shulgin Rating Scale that provides a ranking system to categorize how these mind-altering substances affect how you feel, what you see or what you hear. But, his most enduring legacy is contained within the pages of his literary works. His two most famous books, PIHKAL and TIHKAL, were co-authored with his wife Ann Shulgin in the 1990s. According to the DEA, many drug raids found these two "cookbooks" on site. A 2014 study of the making of designer drugs like Ecstasy also described Shulgin's writings as "the most far-reaching" in the subculture of hallucinogenics. This study also described the consequences of Shulgin's combined work as devastating. We at Mush Magic would have to disagree. Theodore Shulgin's publications and spirit continue to inspire the next generation of psychedelic explorers.